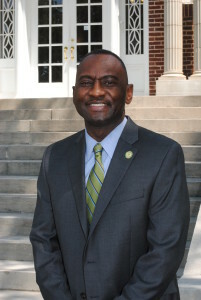 Bob Birch, Chairman of the Board of Trustees of Philander Smith College and officials of the United Methodist Conference of Arkansas will preside over the inauguration ceremony of the college’s 13th President, Johnny M. Moore, Ph.D. Founded in 1877, Philander Smith College is a privately funded, four-year liberal arts career-oriented institution supported by the General Board of Higher Education and a ministry of the United Methodist Church. This college has a rich legacy of providing an educational experience that embraces academic excellence, builds self-esteem and cultivates critical thinking skills and prepares students to be future leaders and advocates for social justice. Our current enrollment is 658 students. Moore will be available for media interviews following the ceremony in the Office of the President located inside the Kendall Center on campus. To obtain more information, contact Shareese Kondo, Director of Public Relations and Marketing, at Philander Smith College, (501) 370-5279, or (501) 519-1556, skondo@philander.edu.